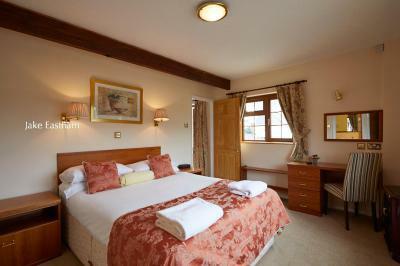 Lock in a great price for Sid Valley Country House Hotel – rated 9.1 by recent guests! Lovely hotel, photos don't do it justice. Nice heated pool overlooking the countryside. Family run atmosphere, with very helpful staff. 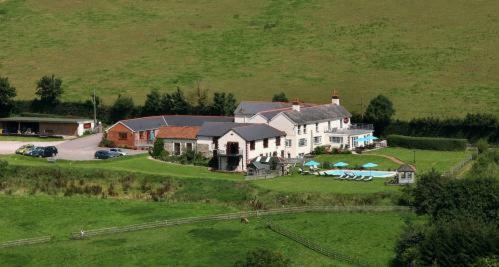 Friendly staff, excellent location for the Jurassic Coast, well equipped accommodation. We can't fault the place at all ,one of the best holidays we've had ,really relaxing place , never wanted to leave it , we're going again . Very nice proprietors. Friendly owners, beautiful location, close to many great attractions. 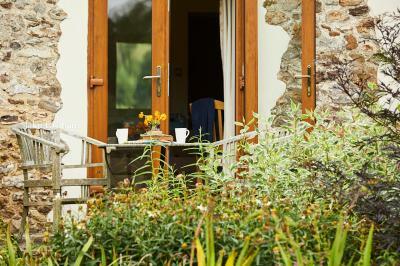 We stayed in a well furnished cottage with a lovely garden and views across the valley. The kitchen was well stocked with equipment for self catering. We came back one evening to find not only our bed had been tidied, but our dogs blanket on the sofa had also been straightened, great attention to detail! Friendly and welcoming hosts, we and our little dog enjoyed our stay. Sidmouth is a lovely place to explore. We found a little gem. The hotel is situated in beautiful scenery, while not remote. The accommodation was excellent. Stephen and Sarah made us very welcome. The food was delicious and beautifully presented. And the outdoor heated swimming pool was a delight. We would certaintly recommend it. The views and the peace were truly outstanding. 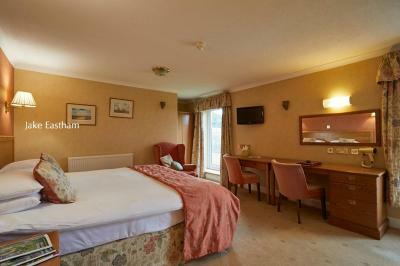 The rooms (self catering) were more than adequate. The owners and their sons were very helpful without being intrusive. The outdoor heated pool was great and the decking outside our apartment was perfect to enjoy the view. 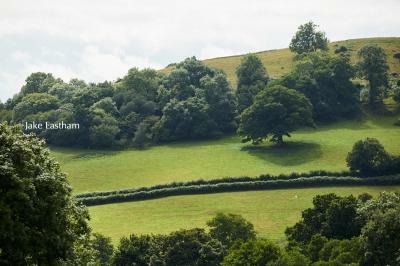 A truly joyous break in what has to be one of the most beautiful areas in Devon. 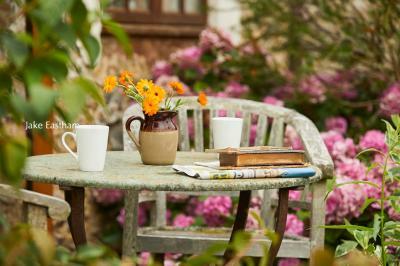 The location was so peaceful, the owners most helpful and the breakfast was amazing. 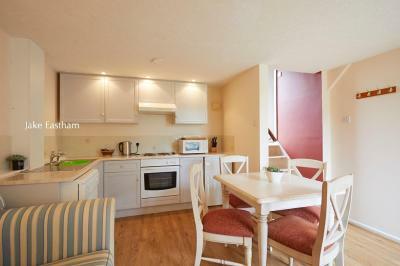 Sociable kitchen/ living area shared between 3 bedrooms in Carriages. Very friendly and helpful hosts. 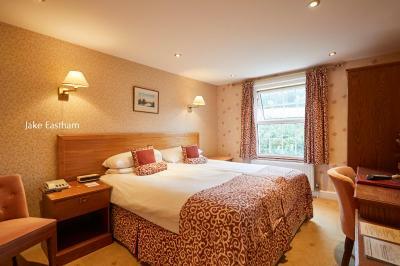 Sid Valley Country House Hotel This rating is a reflection of how the property compares to the industry standard when it comes to price, facilities and services available. It's based on a self-evaluation by the property. Use this rating to help choose your stay! 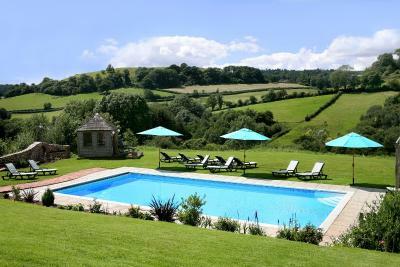 Set in 14 acres of outstanding natural beauty, this country house hotel with cottages and a heated outdoor pool offers a relaxed atmosphere, professional service and luxurious surroundings. 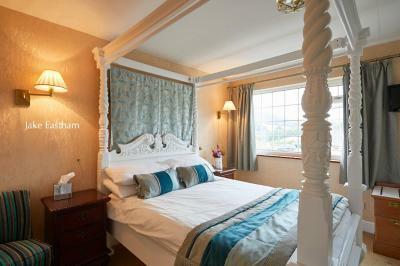 The hotel is a previous winner of 'Small Hotel of the Year' in the South-West Tourism Excellence Awards. 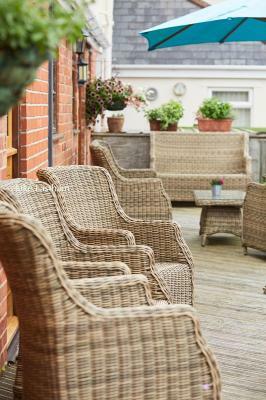 Offering traditional elegance in all seasons, the country house hotel and cottages are convenient for Sidmouth, Exeter and Dartmoor. 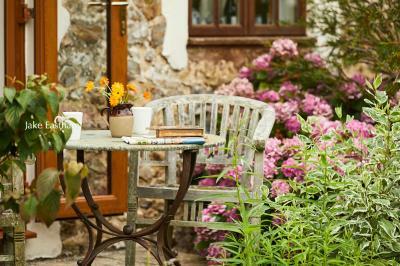 The Sid Valley is ideal for discovering Devon’s inland areas and coastline. 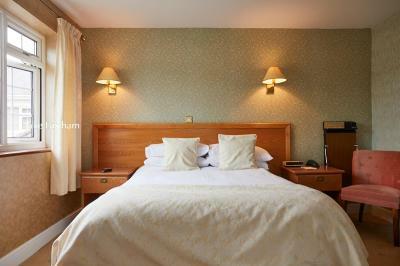 Leisure and business guests are provided with spacious and comfortably furnished lounges, a cozy bar and an excellent restaurant providing home-prepared food from the best of local produce. Bread is freshly baked every day. 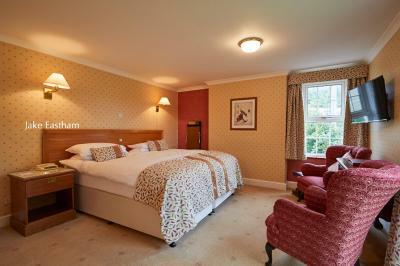 When would you like to stay at Sid Valley Country House Hotel? Luxurious room with lots of natural light. 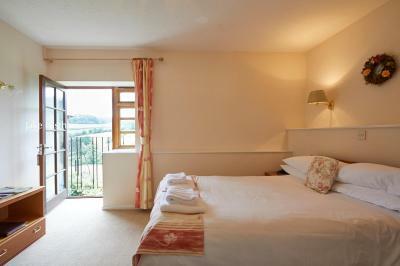 The rooms overlooks the courtyard and valley. 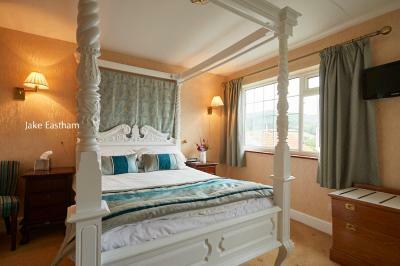 Luxurious and very spacious four-poster room with en suite shower room and large windows overlooking the Sid Valley. Luxurious rooms with lots of natural daylight. There are stunning views over Sid Valley and beyond. 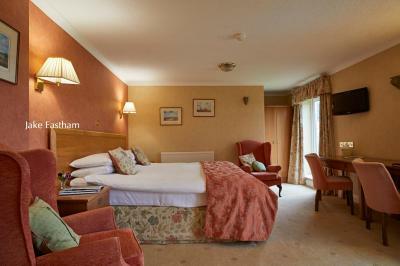 Superior rooms with king-size beds, lots of daylight and soft furnishings. There are stunning views of the Sid Valley and beyond. 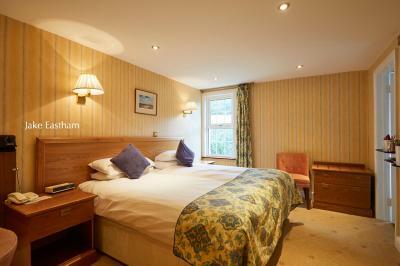 This cottage offers a double room with a super king or twin bed and a single bedded room. 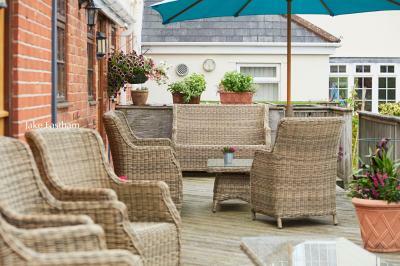 There is a lounge and dining area with stable door leading to the terrace with decking. 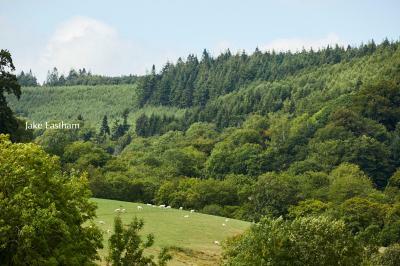 Enjoy stunning Sid Valley countryside views. 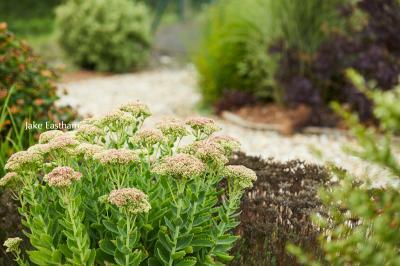 It can accommodate up to 3 adults. One twin room (zip-and-link twin beds or king-size beds) and one single room. There is a lounge and a dining area. A terrace features outdoor furniture. Enjoy stunning country views of Sid Valley and beyond. 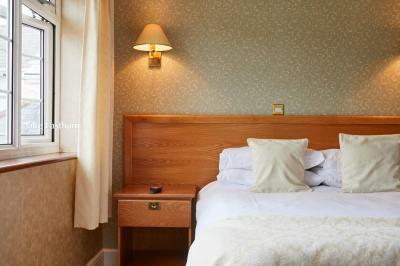 A GBP 50 changeover charge is made for linen and towels per stay. 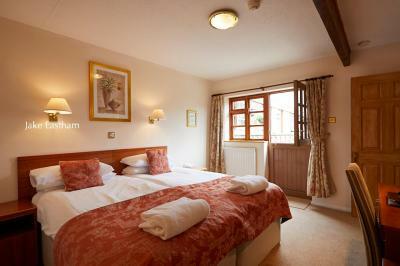 There is one double room and one twin/double room. 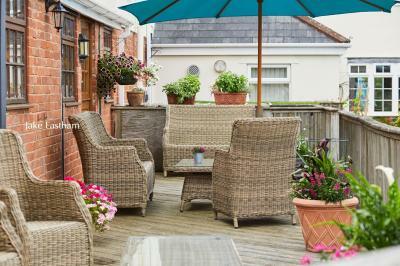 There is also a lounge and dining area with stable door leading to a terrace with decking and outdoor furniture. 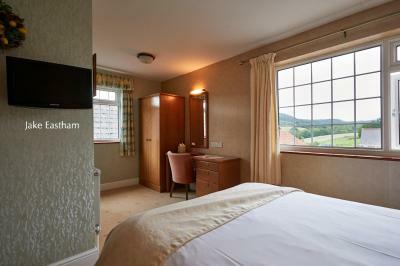 Enjoy stunning Sid Valley views. 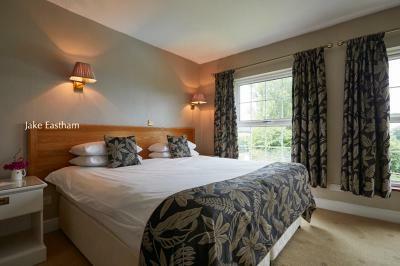 There is a GBP 50 changeover charge for linen and towels. Please bring own pool towels. 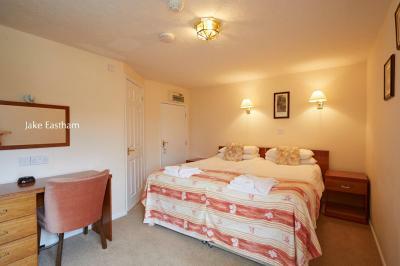 Extra double bedded room with private bathroom is added for 5 person booking option. The Carriages offers a neat kitchen, lounge and dining area, with doors leading to private decking & outdoor furnishings. 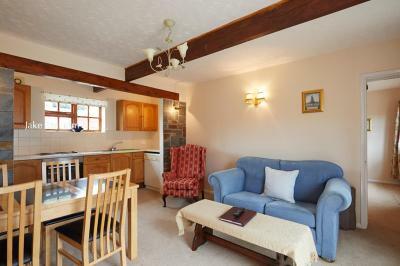 Three bedroomed all en suite on 2 levels. Enjoy views of the stunning Sid Valley and beyond. The Carriages can accommodate a maximum of 4 adults. There is a GBP 50 changeover charge per stay length. 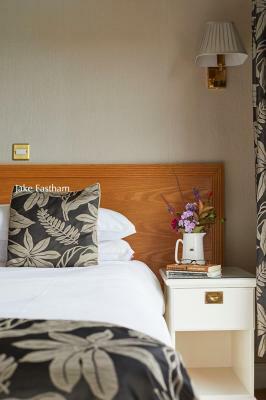 The cottage has a king/twin-size room on the ground floor with en-suite shower, and on the upper floor there is a twin/king room with en-suite shower and a double room with private bathroom. Please bring your own pool towels. With scenic views of the Sid Valley, The Hay Barn features 1 king-size room with en-suite shower and 1 twin room [twin beds or zip-and-link king-size bed] private bathroom. There is a lounge and dining area with French doors opening onto a terrace with decking and outdoor furniture. 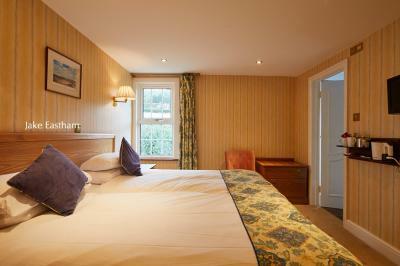 Cottages include all heat, light, linen and towels. Please provide your own pool towels. There is a GBP 50 changeover charge on any length of stay. This lovely open-plan King/Twin bedded cottage comes with French doors opening onto private sun terrace. 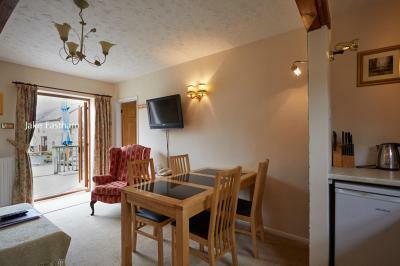 Also includes a kitchen, lounge & dining open plan with shower room en suite. Stunning Sid Valley views. 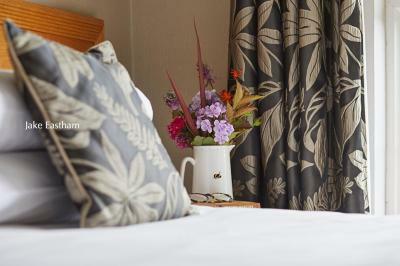 This self catering cottage is fully inclusive of heat, light, linen and towels. 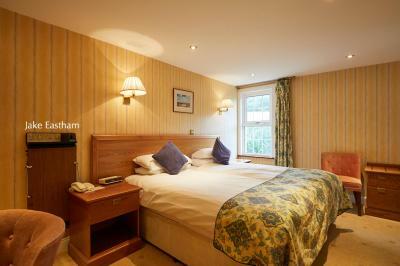 There is a GBP 50 changeover charge per stay. Please bring your own pool towels. 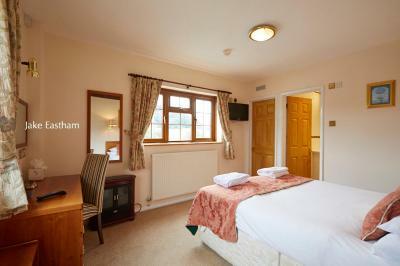 This twin/double room features a bathrobe, seating area and electric kettle. The Sid Valley is set within an amazing position. Our endeavour is to make your stay ideal in all ways. We continuously work hard to make sure the property is kept to high standards for all our customers and guests to enjoy. 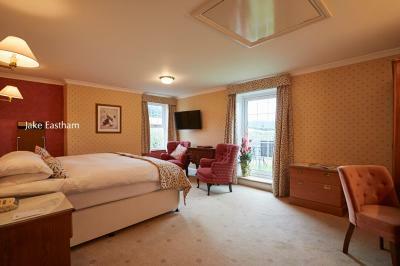 The Property is for residents only and as such is private for our guests enjoy. Exclusive private use is available for the whole property. 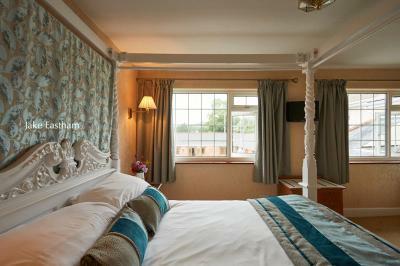 House Rules Sid Valley Country House Hotel takes special requests – add in the next step! Sid Valley Country House Hotel accepts these cards and reserves the right to temporarily hold an amount prior to arrival. If you are due to arrive after 21:00, you must telephone the hotel to confirm your arrival time. The hotel does not accept payments made by check or American Express card. Evening meals can be prepared upon prior request and subject to an additional charge. 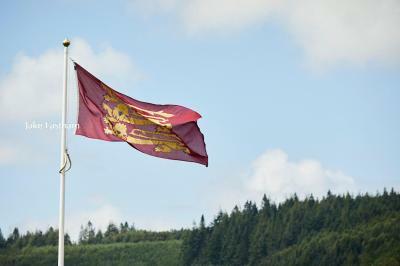 Guests are advised to book tables in the evening restaurant in advance and this is subject to an additional charge. 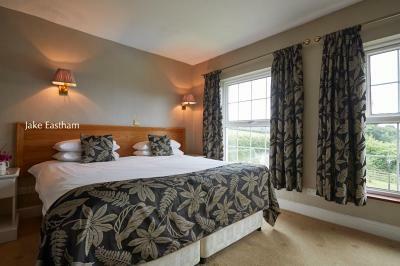 Please note, pets can only be accommodated in some rooms at the property, and there is a GBP 20 per day, per pet. Only small to medium dogs can be accommodated, and pets are only accommodated based on prior authorization from the property owners. Pets must be kept on a leash at all times at the property, and should not be allowed at the property on their own at any time. The owners of the property have a pet dog. The swimming pool is listed as open all year round, but it's open May to September. This is not the first time booking.com had mislead me to believe a swimming is available. I don't think its the owners giving the wrong information, I think it's the way booking.com chooses to list these facilities. This doesn't seem to be the fault of the proprietors, but with booking.com itself. Too much furniture for room, not terribly clean, mirrors, light switches, tablets. Kitchen sink wouldn’t drain away, wet room shower cubicle made all the bathroom wet. £20 pp for breakfast is silly. Highly price for such accommodation. 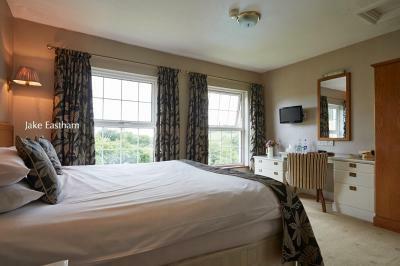 Location, views, bed, towels, nice owner. Extra charges for breakfast and dinner, which we didn't know about until after we made the booking, so we self-catered. Our TV did not function properly during our stay despite efforts to fix it. 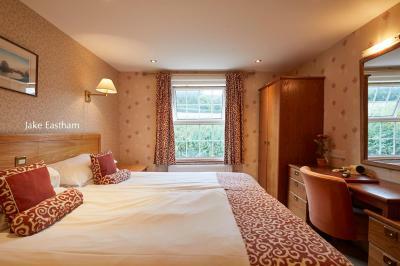 Lovely setting, comfortable room, friendly hosts. There was absolutely nothing that I could find fault with! Only a very minor thing- the recycling was complicated! But it didnt matter as the cleaning lady sorted it out. Nothing! - except we could only stay one night! Breakfast was extremely expensive and not worth the value. Cleaning fee of £50 added as standard to our bill on leaving - we thought that this had been included in the cost when we booked. The WiFi is only strongly received in the Reception area. However as this was a holiday I Downloaded info as appropriate before going into own property. 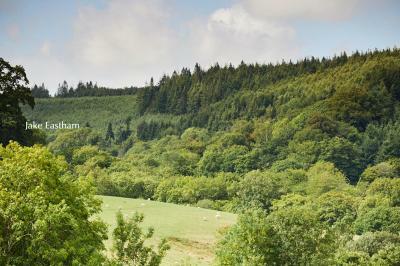 What a fabulous place; wonderful location in the countryside and less than five miles to the sea. 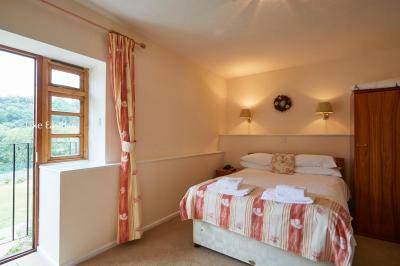 The cottage was extremely comfortable - lovely beds, great shower and well-equipped kitchen. There was also some great outdoor seating at the cottage itself where we enjoyed the sun, when we were not at the pool area. We holidayed for a week with our dog and it was great for him. The hotel grounds were large to walk in and you could venture further afield without having to get in the car. We did go by car to Sidmouth; a great beach and some good eating places along the seafront. You can take your dog on both sides of the beach there (but not in the central bit, which is fine.) Thank you for a wonderful holiday.